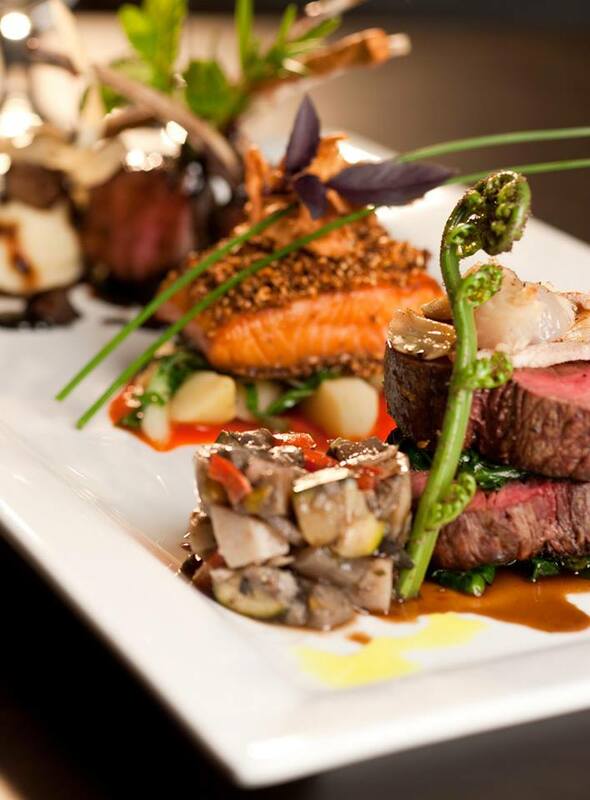 Our A la Carte fine dining Dinner Menu is available as a "shared, group dining experience" for two or more people. Choose your feast, where you can mix and match your meal and sample at your leisure. Our "shared, group dining experience" allows you to choose three 'first flavours' and three mains, to share. It allows you to sample a large range of skillfully prepared flavours and dishes, all prepared by our expert culinary team. This flexible, group dining option allows you to select and construct the meal you want. It's the ultimate taste sensation for seafood and meat lovers alike. Start with a shared, freshly baked bread selection interspersed with herbs & spices, infused Rewana (Maori Bread) & Foccacia. Follow this by moving onto a truly amazing trio of 'First Flavours' including the Seared Tiger Prawns; Manuka Smoked & Roasted Duck; sizzling plate of Scampi, Green Shell Mussels & Surf Clams or the Tempura of Kina with Kawakawa Beer Batter and Salmon Gravalax. The gastronomical sensation then continues with a selection of two dishes from the 'main event', This includes our signature dish, the Rack of Lamb which is roasted & glazed with Horopito. Other options include Piripiri crusted Hot Smoked Akaroa Salmon or Venison Cutlets, grilled with flamed Port wine & Juniper Berries. To finish off your New Zealand culinary journey, enjoy a superb selection of sweet sensations including our home made Avocado and Kawakawa Ice Cream, Chocolate Mini Gateaux and Mini Pavolova. A vegetarian "shared, group dining experience" is available upon request.